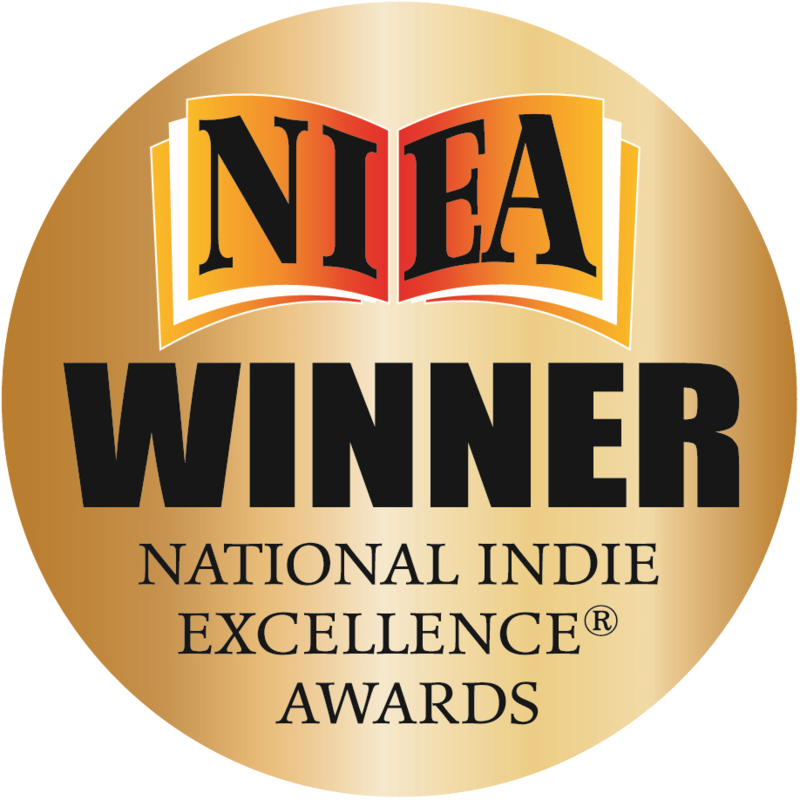 The National Indie Excellence® Award (NIEA) is awarded to self-publishers and small and independent presses that go the extra mile to produce books of excellence in every aspect. Editor, "Human-Animal Interaction Bulletin," The Section on Human Animal Interaction: Research & Practice, of Division 17 (Society of Counseling Psychology) of the American Psychological Association. Co-editor, "Men and Their Dogs: A New Understanding of ‘Man’s Best Friend’"
“The title – When man meets dog – is an allusion to Konrad Lorenz’s classic, Man meets dog where the famous ethologist espouses his now discredited theory of how jackals, not wolves were domesticated to became the forerunner of the modern dog. Dr Blazina also expands the premise of Lorenz’s other classic, On Aggression, as he explores male aggression today. Lorenz succinctly informed readers of his terms of reference in the preface to On Aggression: "The subject of this book is the fighting instinct in beast and man, which is directed against members of the same species." Chris Blazina's memories of meeting his first dog, a gentle German Shepherd named Scoobie, are unclear. His mother’s role in the sudden departure of 'a friend nothing would happen to' is branded forever in her son’s recollections of childhood. It is memories such as these, honed by a lifetime of research and professional expertise, which created When man meets dog. This is the book that welcomes readers into the very private inner space of a truly generous man. Dr Blazina has offered himself to strangers so that we may travel with him on a pilgrimage to discover how males do relate to dogs. He raises awareness of the vital role that dogs may play in the emotional lives of men. It is a must read for women. Women belong in the lives of men as colleagues, sisters, daughters, mothers, wives, and lovers. 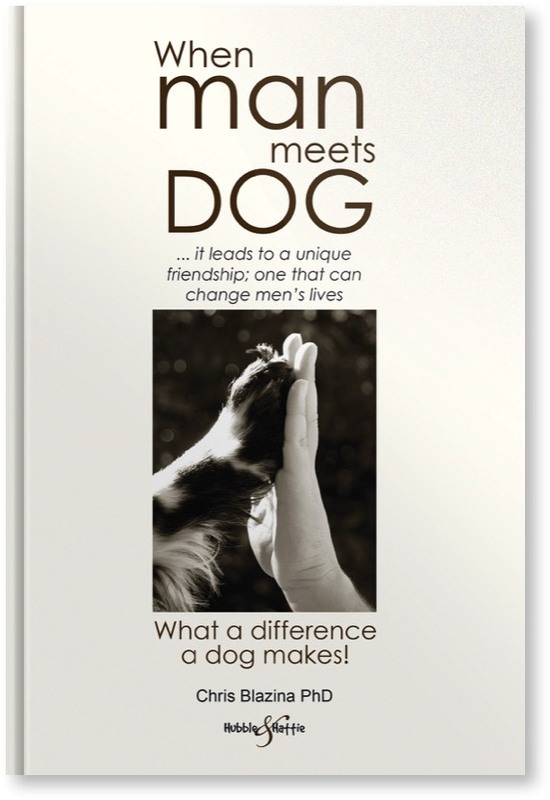 When man meets dog is the first intense scholarly study of the canine-human bond from an autobiographical male perspective. Professor Blazina is exceptionally qualified to write such a book. His research projects have focused on men and wellness, on studying the intersection of attachment-related issues and problematic male socialization and human/canine interactions. He is an eminent psychologist whose communication skills are evidenced as host and producer of the radio program The Secret Lives of Men. The evolution of this book is the culmination of a philosophical, psychological and personal exploration of maleness, dogs and the secret worlds males and dogs inhabit as they journey, as their primitive ancestors once did – through their intensely complex inner lives. The vinaigrettes from eminent predecessors – Sigmund Freud (Chow Chow, Jingles), Princess Marie Bonaparte (Chow Chow, Topsey), (Uncle) Boris Levinson (Golden Retriever, Jingles) Mary Ainsworth (Strange Situation Assessment), Tony Martin & Kenneth Doka (Men Don’t Cry – Women Do), Parker Palmer, (The Broken Open Heart) and Michael Kimmel (Guyland), gives substance and depth to Dr Blazina’s very intimate account of how two dogs shared his world. Of how Kelsey’s cognitive departure and eventual death was so devastating. Of how the tale of Kelsey is not a book about sad endings that did not always carry the possibility of hope. However the hope had to be real… Loss is not actually the end of our stories. It is instead the subject of the second act. When man meets dog re-invites us to explore literature as it disentangles the myth of 'American Adam' explored by RWB Lewis. Rudyard Kipling’s Woman sets the tone of the journey. "… The Woman said, ‘His name is not wild Dog any more, but First Friend, because he will be our friend for always and always and always.’"
The Just So Stories feature, not just Woman, the nurturer and companion, but also adventuresome males like The Elephant Child, who change the course of evolution. Dr Blazina’s exploration of the relationship between men and dogs is not just entertaining and thought provoking reading. He also demonstrates a scholarly intellectual rigor in using an opening quotation to constrain the content and tone of each chapter. The literary excerpts are old friends for many. Yan Martel (The life of Pi), Margery Williams, (The Velveteen Rabbit or How Toys Became Real), John Steinbeck (Of Mice and Men), Tolstoy and Eliot. It is fitting that Shakespeare’s Sonnet 30 sets the mood of Chapter 7 – Search and Recovery – the continuing bond. When man meets dog explores the minds of men, and their canine companions, offering resolution and hope. Dr Blazina’s American readers will be familiar with the RWB Lewis’ literary concept of 'American Adam.' Traditionally, the 'American Adam' has always won in the end. Although he stands alone he does not waver from his personal code. Modern males all over the world will identify with the isolation of being boys and men culturally expected to achieve insurmountable heights because of gender. Gaining insight into the male psyche enables women to enhance interpersonal relationships in the formality of the workplace, the college campus and the casual encounter. Females will be empowered to appreciate and enrich the male perception of intimacy, of sibling relationships, motherhood and sexuality. Many readers, after reading Chris Blazina’s Postscript will find healing and solace by writing to their own departed canine companion. 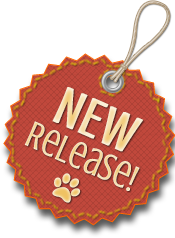 When man meets dog opens the door to those have loved and lost a dog to embark upon a healing journey. When man meets dog offers us all skills to create a microclimate of quietude around ourselves, allowing the tumult to settle and an inner quietude to emerge. Gender, religion, political or other persuasion becomes irrelevant. Once we are truly civilized, we will overcome the tyranny of the primitive brain and walk together with our First Friends for always and always and always towards a new Eden. Indeed a dog does bring the sun and flowers, where there used to be rain. • 2016 NIEA AWARD WINNER: The National Indie Excellence Award is awarded to self-publishers and small and independent presses that go that extra mile to produce books of excellence in every aspect. • A challenging, thought provoking read presented by the ultimate storyteller. • An LGBTI inclusive text. • The ideal gift for a anyone sharing any stage of the life of a dog – from puppyhood to old age. • A wonderful and very thoughtful way to share the dilemma of being male with others. As a mother and retired Teacher Librarian in her 70s, I believe this book is best read at the start of the parenting and school teaching journey. I want both my children, who are now parents to have it. As a volunteer Storyteller in Aged Care Facilities there is a wealth of great yarns in When man meets dog to plunder for residents to enhance memory, recollection and sharing. Robyn Youl, Librarian, Geelong Obedience Dog Club.